Before there was High Tech, there had to be Low Tech. There isn’t an engineer, programmer or IT specialist today that can’t identify with or see in themselves the indomitable spirit of the space age barnstormer that built the space program, designed the desktop and envisioned the cloud. Nor could they escape the feeling of having to do it all with duct tape and spare parts found in the basement. How did you get to work today? Behold the transportation of tomorrow on the cover of Science and Invention magazine, June 1925. WATCH: The Oregon Zoo in Portland was closed to the public today due to heavy snow – but the zoo’s residents had a blast. oliviaeliash: “Hominin phylogeny” Ink and watercolor on paper…. The other version of my Christmas card. Merry Christmas everyone! 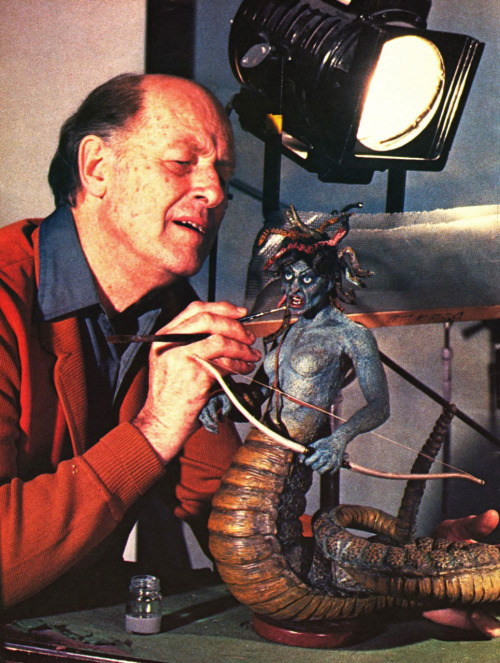 Happy 91st Birthday Ray Harryhausen. This amazing visualization of human circulation takes you from the heart, to the smallest arteries, to single oxygen atoms. George Underwood – Shadow of Heaven, 1970.